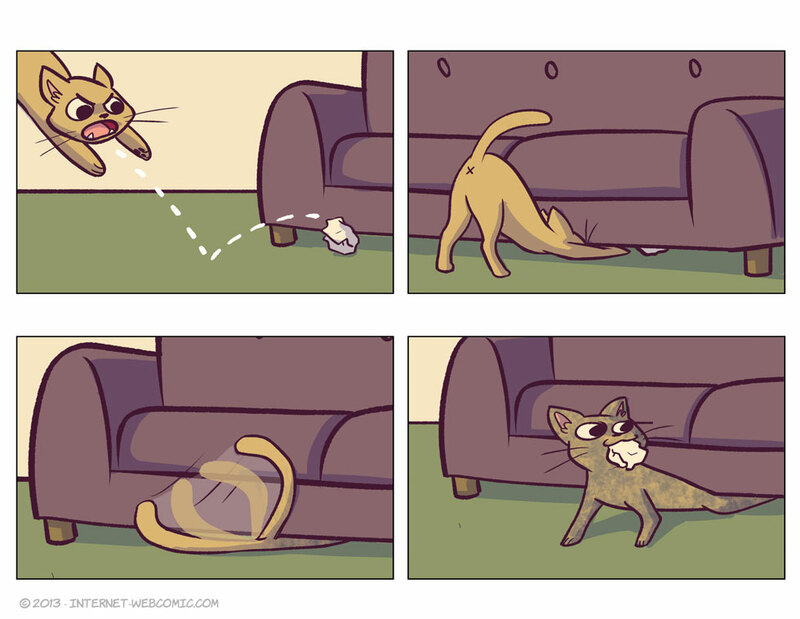 For pretty much any gray cat, this is what I assume has happened. My own cat especially, because she has done this and come out grayer several times. I’ll be at TCAF this weekend! I don’t have a table (what would I even do with a table? ), but I’ll be around. There’s a lot of really cool stuff there this year! I’ve had all the colors you can think of for a domestic cat (except spotted) and all of them have done this, especially my favorite black kitty, Casey, who comes out looking grayer and scragglier than all the others.